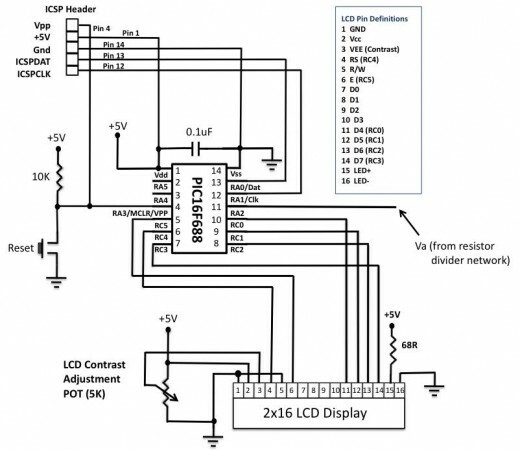 You cannot feed a 20V signal directly to a PIC microcontroller’s input channel. It is too higher than its operating voltage, and the microcontroller could be damaged. So, first we need a voltage scaler that will scale down the input voltage to the safe operating voltage range of PIC16F688. 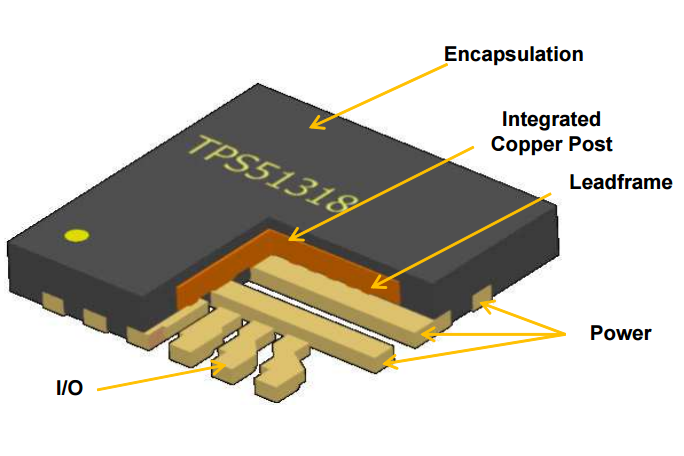 resistors, R1 and R2, the input voltage ranging from 0-20V can be down converted to 0-5V. For the chosen values of R1 and R2, you can see that the output (Va) from the resistor divider network is 1/4th of the input voltage. If the input voltage goes beyond 20V, Va will exceed 5V, and this could be harmful for the PIC microcontroller. If you connect a 5.1V Zener diode across the R1 resistor, the output voltage Va will never exceed 5.1V. This will protect the microcontroller from any possible damage due to high voltage input. 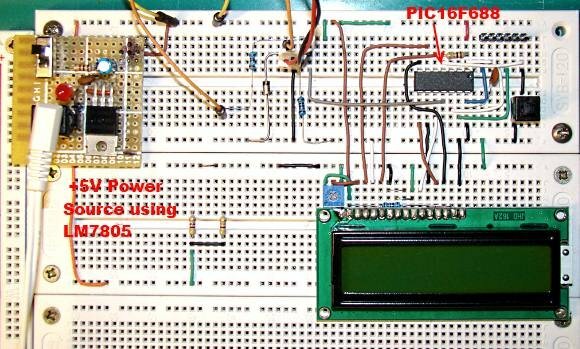 The voltage Va will go to AN2 (pin 11) channel of the PIC16F688 microcontroller. The rest of the circuit is shown below.